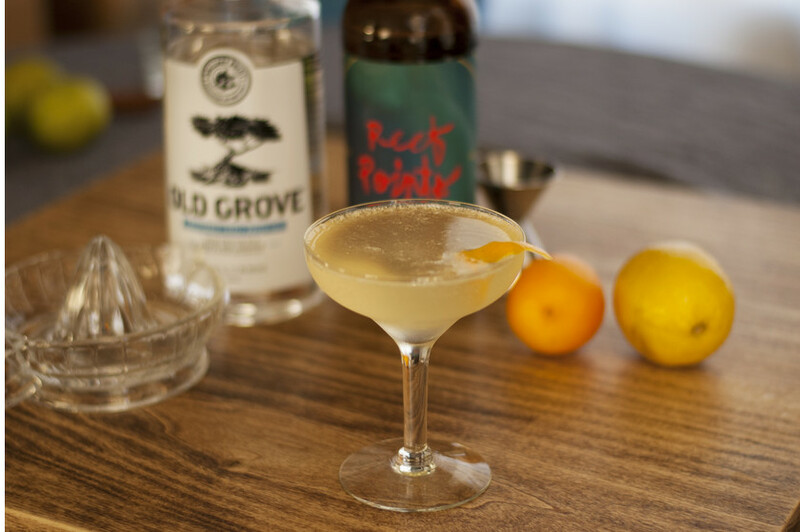 We are excited to begin a new series of weekly cocktails using Reef Points hard cider! It'll be a fun way for everyone to kick back, crack a bottle and experiment. 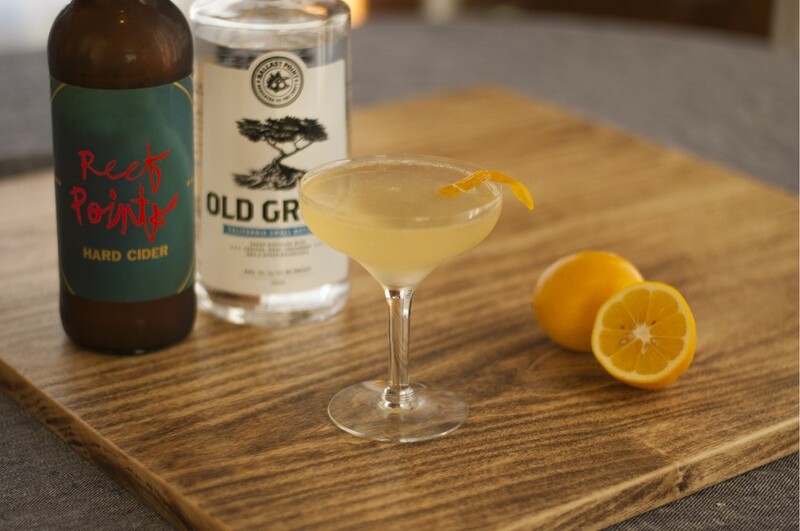 Each week we hope to inspire everyone to dive into the world of spirits and explore how easily the dry, sparkling nature of our ciders can be used to create some tasty cocktail recipes. 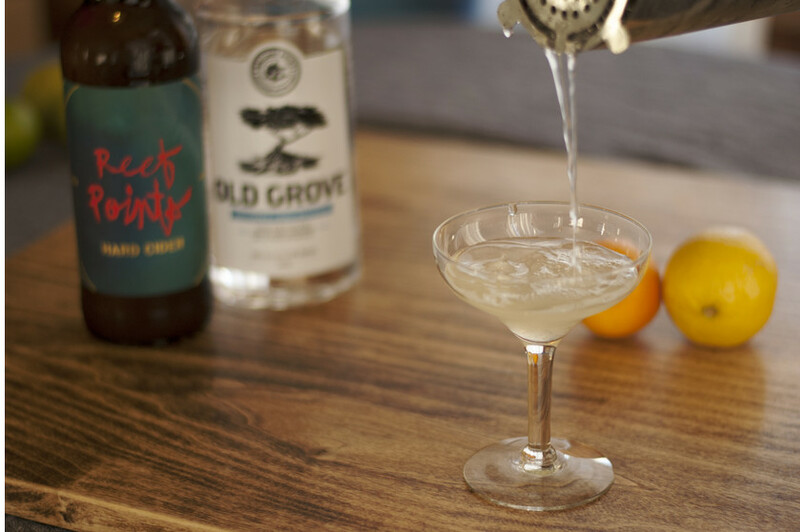 First up -- let's celebrate Labor Day Weekend with a fizzy French 75, with a Reef Points twist. The balance of bubbles, dry botanicals and tart acidity make this a refreshing drink for the summer afternoon. We took a classic recipe from The Independent and adapted it slightly, substituting Kid Neptune for the champagne topper. We also used a blend of pressed meyer and conventional lemon juice. 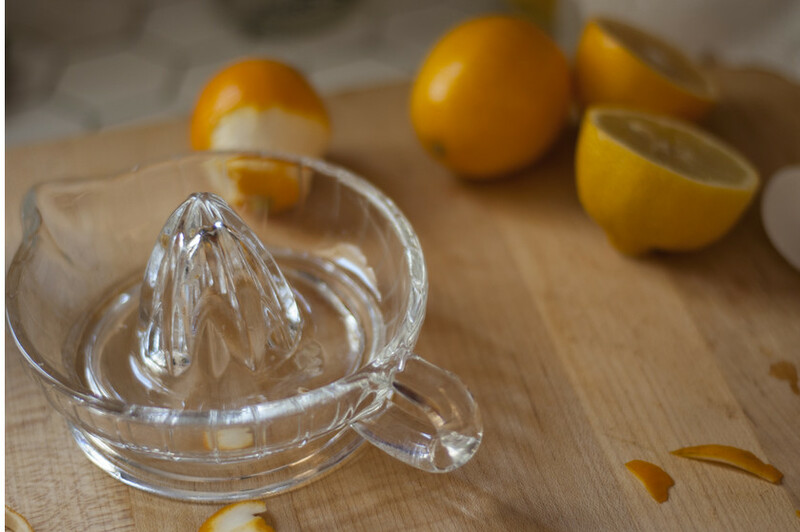 However, upon taste testing we would actually suggest using conventional pressed lemon juice to get that really bright citrus flavor, as opposed to the very fragrant but slightly funkier meyer lemon overtones. We also chose a nice looking gin we hadn't tried before -- Ballast Point's "Old Grove." Full cocktail recipe below. -2 oz. Gin, 1 oz. Fresh Lemon Juice, 1/2 oz. of Simple Syrup, Reef Points "Kid Neptune" to taste.